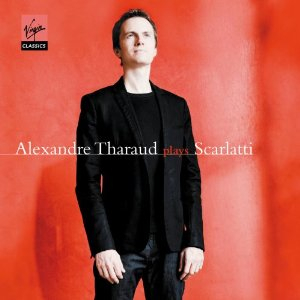 I have waited many years for the new CD of 18 Scarlatti sonatas, played by the young French pianist Alexandre Tharaud. That is because I admire Tharaud’s playing of Baroque music on the modern piano as I have heard it in works by J.S. Bach, Rameau and Couperin. And yes, I much prefer the piano to the harpsichord in that repertoire, especially when the player is Tharaud, who has also proven adept at Chopin and Ravel, who share certain traits such as transparency and precision with the baroque masters. I particularly like his clarity and crisp articulation as well as his songful legato phrasing, all captured with fine sonic engineering. For my money, Tharaud is way ahead of ahead of Angela Hewitt, Jeremy Denk and Simone Dinnerstein to name a few of his Baroque-playing contemporaries. 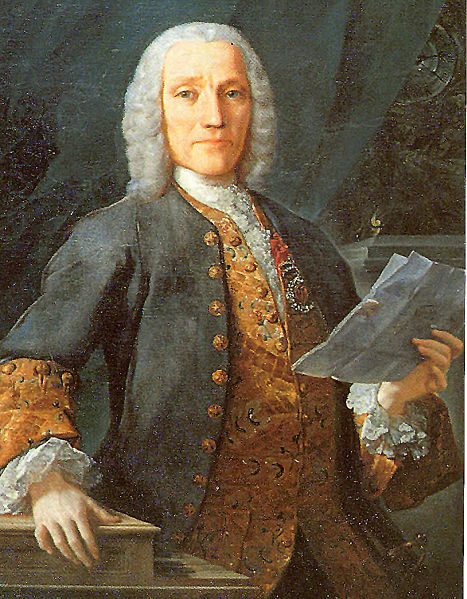 I also like this album because I think Scarlatti is underestimated for much the same reason that Chopin – who, unlike his contemporaries, respected Scarlatti and played and taught his music — is often taken for granted: With a few exceptions, Scarlatti wrote for the keyboard and wrote miniatures. So he remains in the shadow of his exact and more prolific and varied contemporaries, J.S. Bach and Handel. But what gems you find among the 550 keyboard sonatas – “exercises,” as he called them – that Scarlatti (below) wrote. One of the virtues of the new album – Tharaud’s debut on Virgin, to where he moved from Harmonia Mundi – is that only a few of the sonatas belong to the often played, and often heard, variety. Instead you find unusual novelties here, works that only enhance your opinion of Tharaud and of Scarlatti. Other things to single out for praise are the musicality and inventiveness of his ornamentation, which he varies with repeats, and his sparing or judicious use of the sustaining pedal. The mix of fast and slow, easy and virtuosic, sonatas is also good. Tharaud captures the droning percussiveness of jaunty Spanish dance music, and the lyricism of meditative love songs or even prayer. I will be listening to this album a lot, always with the hope that Tharaud will record a sequel with more Scarlatti sonatas. He has the making of great Scarlatti player, a rival of Horowitz (the great Scarlatti pioneer), Andras Schiff, Robert Casadesus and Mikhail Pletnev. And I would like to hear him in some of the more commonly heard sonatas and hear how he does them compared to those others. But once again Tharaud has proven he is master of performing old music on new instruments. If you don’t yet know him, you should remedy that loss. Much enjoyment awaits you.